Where chocolate is concerned, it is hard to use moderation. 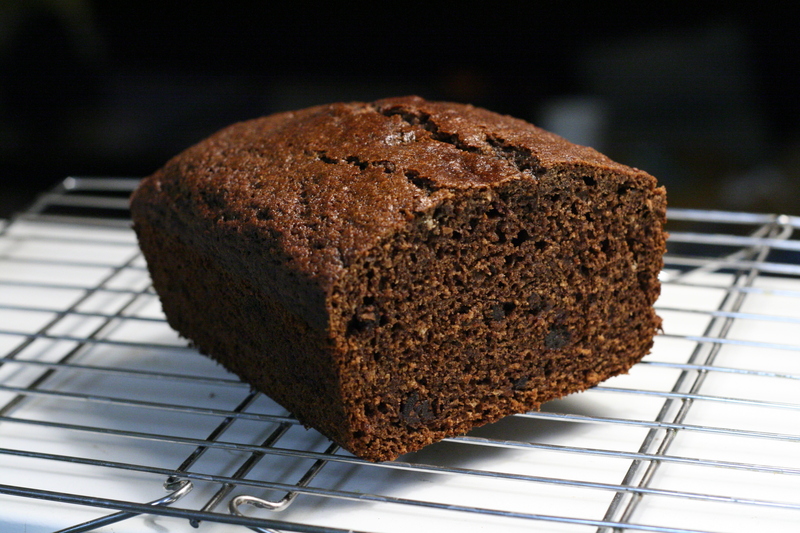 Thus, we have today three recipes for using chocolate in various forms of bread. It was too hard for me to narrow it down any further! 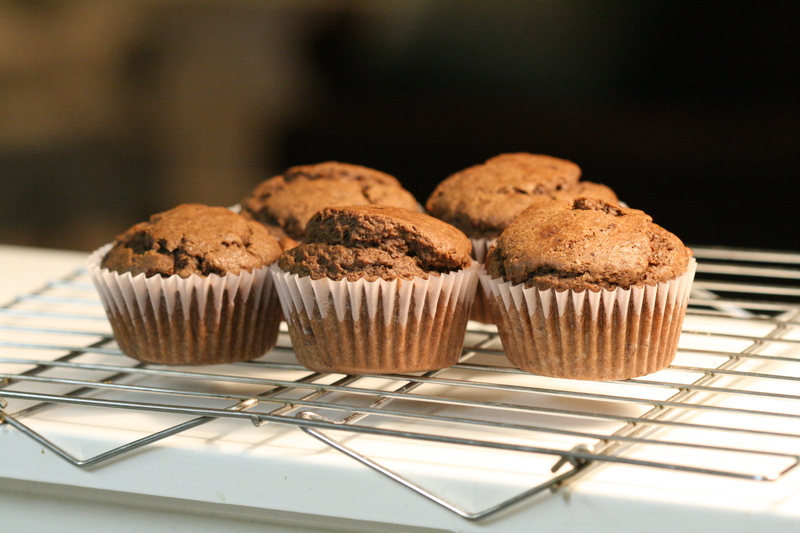 First we have chocolate muffins. 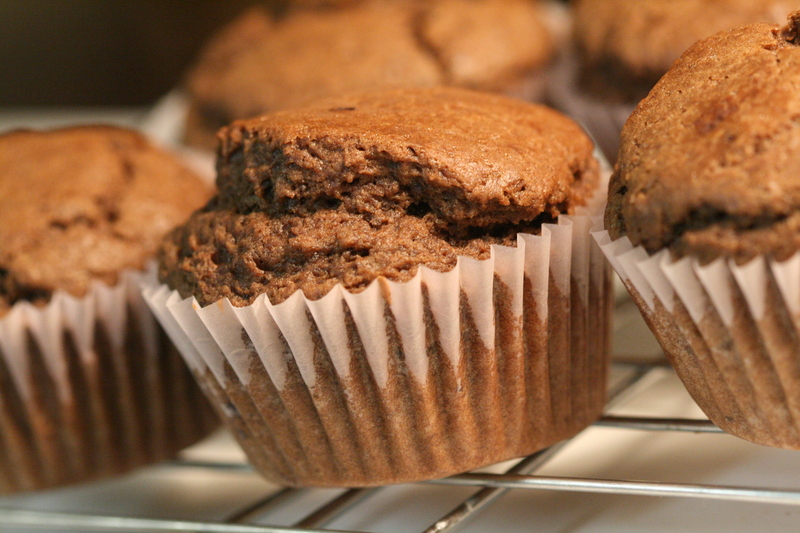 I found it almost impossible to find a good chocolate muffin recipe. Oh, chocolate muffin recipes do abound, but they look and sound more like the identical twin of chocolate cupcakes, rather than the kind of muffin you might choose to enjoy for breakfast. So, I had to make my own. And they came out just how I wanted them: moist, full of chocolate flavor, and not so sweet as to negate the use of butter. Preheat oven to 400F. Line muffin tin with muffin papers. Sift together flour, cocoa, sugar, baking powder, baking soda, and salt. In a separate bowl, whisk together egg, "soured" milk, and oil. Stir together the dry and wet ingredients and mix only until combined. Add any optional ingredients. Spoon into muffin tin and bake for 20 minutes or until done. I thought it would be good to suggest a yeast bread that goes outside the box a bit -- using chocolate to add depth of flavor and color, rather than taking main stage. 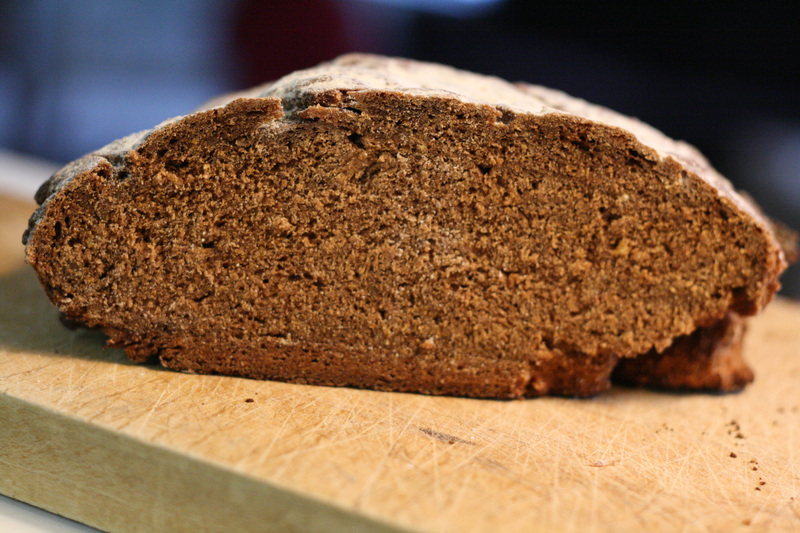 Russian Black Bread is a hearty, full-flavor bread that incorporates chocolate. Being made partially with rye flour, you will find this bread denser than most, and you will notice it does not rise as high as regular yeasted bread. This is normal and is connected with the fact that rye flour does not allow for the formation of much gluten, as opposed to wheat flour. In a large, heavy saucepan, stir granulated sugar over medium high heat until melted. 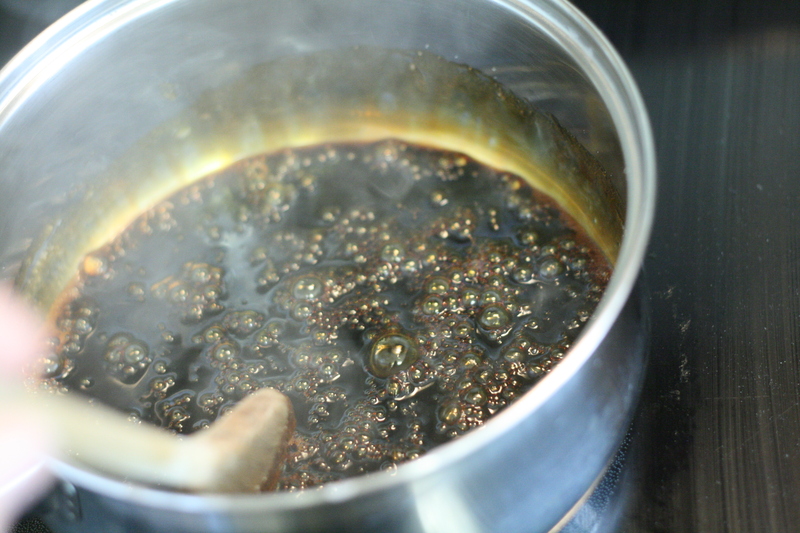 Continue to stir until sugar smokes and is almost black. Slowly and carefully stir in 2 cups boiling water. This will cause mixture to smoke and sugar to lump and harden. Continue cooking and stirring until sugar is completely dissolved. Stir in vinegar, butter and chocolate. Set aside to cool, stirring occasionally to dissolve chocolate. In a large bowl, dissolve yeast and brown sugar in 1/2 cup water. Let stand until foamy, 5 to 10 minutes. Add the cooled sugar mixture, 1 cup rye flour, bran cereal, wheat germ, coffee granules, salt, caraway seeds, fennel seeds, onion powder and 2 to 2 1/2 cups all purpose or bread flour. Beat with electric mixture for 2 minutes or by hand for 200 vigorous strokes. 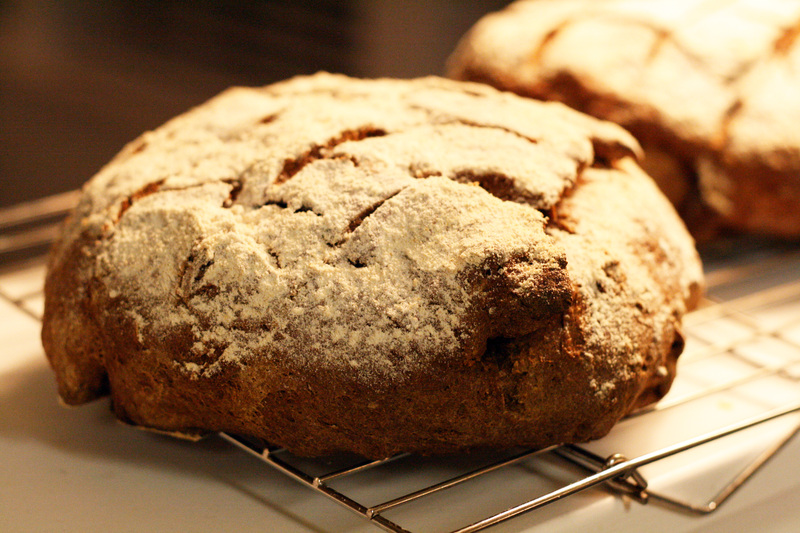 Stir in remaining rye flour and enough remaining all purpose or bread flour to make a stiff dough. Turn out onto a lightly floured surface. Clean and grease bowl; set aside. Knead dough 10-12 minutes or until smooth and elastic. 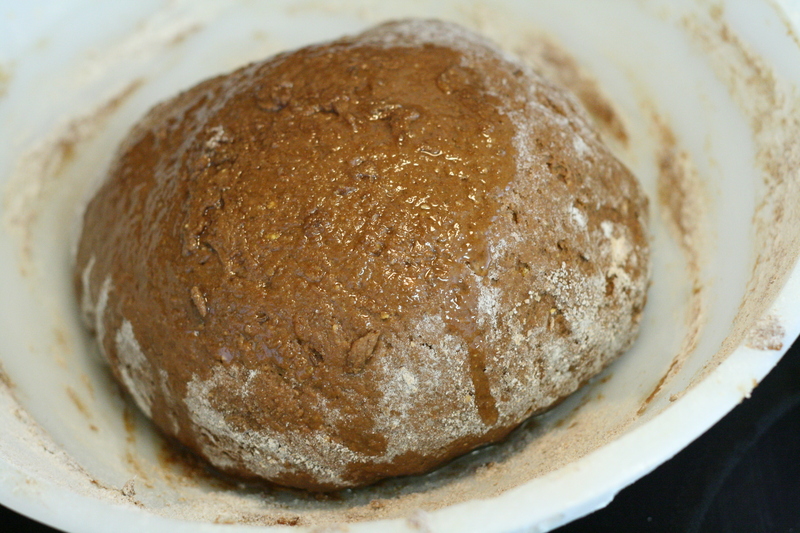 Place dough in greased bowl, turning to coat all sides. Cover with a slightly damp towel. Let rise in a warm place, free from drafts, until doubled in bulk, about 1 hour. Grease 2 medium baking sheets or 2 round cake pans; set aside. Punch down risen dough; knead 2 minutes. Divide dough in half; cover and let rest 10 minutes. Shape into 2 round loaves. Place on prepared baking sheets. Cover with a dry towel. Let rise until doubled in bulk, about 1 hour. Preheat oven to 375F. Slash tops of loaves as desired; brush with molasses glaze or flour. Bake 30-35 minutes, brush again with glaze if using. Bake 10 minutes longer or until bread sounds hollow when tapped on bottom. Remove from pans and cool on rack. I couldn't help but think of those who cannot eat chocolate -- either by choice or by dictate of dietary restrictions. So, I decided to include a Carob Date Loaf which is a lovely way to have something that hints of chocolate, while still remaining health-conscious. Place the dates, baking soda, salt, and carob powder in a mixing bowl. Toss lightly with a fork. Add the butter and boiling water, but do not stir. Let stand 20 minutes. Preheat the oven to 350F. Combine the eggs and vanilla. Add the honey and flour, stirring until well blended. Add the date mixture, stirring just to blend. Pour into a well-greased 9x5-inch loaf pan. Bake 45 minutes, or until a toothpick inserted comes out clean. Let cool before removing from pan.